Once again in England’s bloated top division, the foot of the table has been far more interesting than the summit. At one point we had eight or nine clubs scrambling to avoid the drop; and with just one space still to be decided, it’s clear to me that Newcastle United have earned that spot. It’s often a heart-breaking affair where a smaller club has battled against the odds to take it to the last day, only to fall at the final hurdle. This won’t be the case for Newcastle. The Tyneside club have outdone themselves on the disarray front this season. Campaign after campaign, they make the same mistakes, segwaying gracefully from one crisis to another. While the Toon Army will be quick to blame this season on Mike Ashley, I’d argue that the 2014/15 shambles was brought on by themselves as they fought tooth and nail to oust a manager who had them challenging for a top 10 finish. After months of pressure, ‘Pardew Out’ planes flying over St James, and even the launch of www.sackpardew.com, the 2012 Premiership Manager of the year jumped before he was pushed. Newcastle United were sitting 10th in the table, just 5 point off a European spot. In stepped John Carver, a man who “loves the club”, as we’ve heard so often. Fast forward 5 months, and the Magpies are fighting for Premier League survival. The remarkable thing is, this is almost a carbon copy of events at the club in the past. The sentimental appointment of Carver is almost tantamount to Northern tribalism. How many times must it fail before the fans realise it doesn’t work? Einstein said that insanity was doing the same thing over and over, and expecting different results. Needless to say Einstein wasn’t a geordie. Cast your mind back to Sam Allardyce’s tenure at the club. He received the same treatment. Cries of, “You don’t know what you’re doing”, when Newcastle were sitting 12th in the table. Less than a season into the job, with no hope of being given time to build a team, Allardyce got the chop. Enter, Newcastle legend, Kevin Keegan. A mere 6 games into the 2008/09 season, the love for Keegan had gone, as Newcastle found themselves second bottom of the table. Keegan was duly sacked. His replacement was to be Joe Kinnear, and what a replacement he was. Within a week of taking the job, Kinnear had verbally abused the Daily Mirror’s Simon Bird at a press conference, swearing 52 times in the process, and declaring he’d never give interviews to the national press again. Good start, Joe. Kinnear lasted until April, when his health took a turn for the worst, and he stepped down, requiring a heart bypass operation. Newcastle were in 18th position with 8 games remaining. As much as there was a distinct danger of going down, they were in fact only 9 points away from a top 10 finish. The season hung in the balance. What a normal club would do in this position is appoint a battle-hardened pro to ensure survival. But as we know, Newcastle United are not a normal club. On the 1st of April 2009, Alan Shearer, a man who had never managed at any level before, was appointed interim manager of Newcastle United. Shearer managed one win in eight, and Newcastle were relegated on the last day of the season. That was just 6 years ago, yet Newcastle seem to have learned nothing about it. 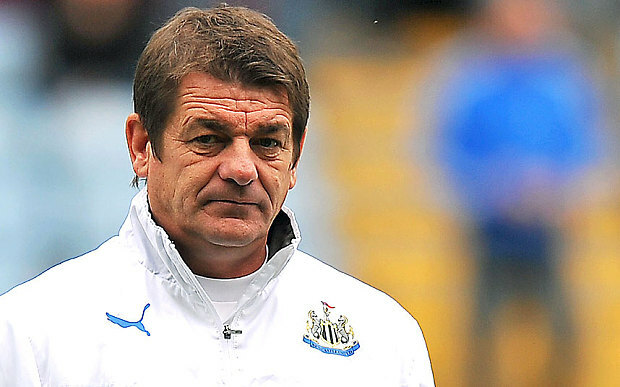 Carver’s appointment and performance has been almost identical. He’s managed two wins from 15, and even included an astounding streak of defeats, spanning 9 matches. Even if they do stay up, they’ll continue down this illogical path. Half a dozen times burnt; still not shy, it would seem. Many people level the blame at Mike Ashley. I don’t. Newcastle have been a shambles long before Mike Ashley was on the scene, and they’ll be a shambles long after he’s gone (unless the whole ethos of the club shifts towards a more realistic structure). The popular belief is that Ashley isn’t up for funding any transfers, and the Newcastle fans are very unhappy that he’s turned a profit of £34m. There are two things very wrong here. Firstly, since Mike Ashley took over in 2007, Newcastle have spent over £140m on transfers, almost £40m of which was spent this season. The accusation that he hasn’t spent any money is therefore unfounded. This leads me to my second point. The assumption that a lack of spending is what’s put Newcastle in this sticky situation is borderline laughable. It’s a given that the very best players come with big price tags, but Newcastle are not in a position to attract this type of player. What Newcastle have ended up with is a group of mercenaries. If you think a big transfer and wage budget automatically brings success, you need only look as far as QPR to see how wrong you are. Their budget is extraordinary, so much so that they’re currently spending more on wages than Borussia Dortmund and Juventus. Big spending has landed big clubs in big trouble, some of which have never bounced back. Leeds, Bolton and Portsmouth are living examples, and it’s taken a long time for the likes of Southampton and Middlesboro to get it right. The problem isn’t that Newcastle aren’t spending ; it’s that they’re spending poorly, and that’s hardly Mike Ashley’s fault. It seems that the Newcastle fans have an obsession with having a panto villain, so much so that they can’t see the problems that are stacking up at the club. There seems to be no long-term goal. If they make progress, the fans cry out that it’s not happening quick enough. This is madness, and is why the club will continue to yo-yo between mid-table and relegation. 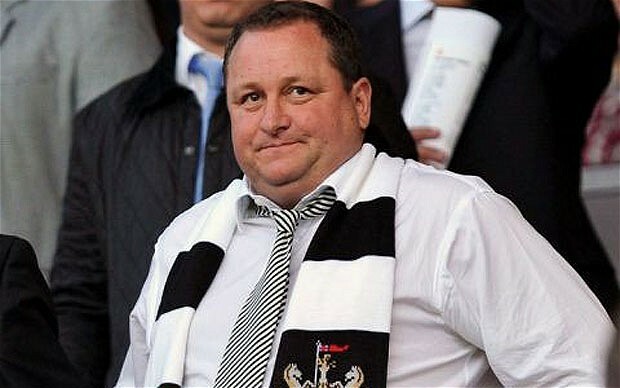 Mike Ashley is no angel, we know that. He’s in the game to make money and further his sports direct brand. Where would Newcastle be if they didn’t sack Pardew now? Perhaps around mid-table, with something to build on for next season? Is the goal to eventually become a team who can challenge for the Premiership title? Or just to support the club through thick and thin, playing attractive football? Or develop an Ajax/St Ettiene/Dnipro style youth academy? – Who knows!? The fact is, changing the variables this often does not lend itself to any of these long term goals. Newcastle United are a big club, with all the right resources to be on the periphery of European football. Why is that not enough for the support? Chances are, it’ll be Hull, not Newcastle who face the drop; but another stint in Championship could be exactly what Newcastle need to get their ship in order. For the good of one of England’s biggest and best supported clubs, they need to go down, as Premiership survival could vindicate the destructive path they’re on for years to come. Even in the current climate of nauseating Ofcom complaints, e-petitions, and general public shock at all things that deviate even slightly from wearisome pre-scripted television shows; the media’s outrage at the pitch invasion at Villa Park on Saturday was a bridge too far for me. Tim Sherwood’s Aston Villa side ended 58 years of hurt, securing an FA Cup semi-final trip to Wembley at the expense of bitter rivals West Brom. The newly arrived gilet devotee spurred on his Villa side to an enthralling 2-0 win. 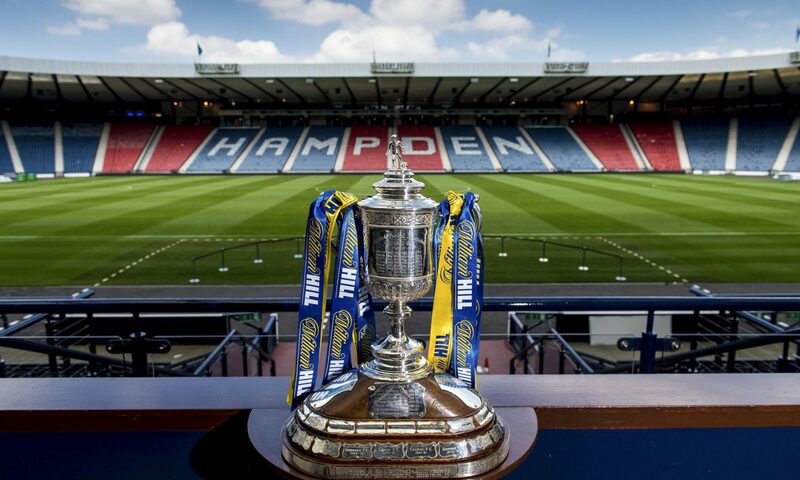 We had the romance of the cup, red cards, a late winner, and even a pitch invasion or two to boot. Short of a decent standard of football being on show (it was Aston Villa remember), the match was a spectacle for fans of the respective teams and neutrals alike. Everyone enjoyed it. Well, everyone except the BBC commentary and analysis team. As the clock ticked down, a ragtag band of Villa fans made a dash for the pitch. A horrified Jonathan Pearce cried out: “We’ve got fans on the pitch! The game’s still going on!”. Pearce’s words were strikingly similar to those of Kenneth Wolstenholme during the dying seconds of England’s famous 4-2 World Cup Final win over Germany in 1966; but the media furore that was incurred by virtue of the fans’ euphoria couldn’t have changed more in the 49 years that passed since then. Jonathan Pearce’s wet blanket approach to football fan enjoyment was soon echoed by crisp enthusiast, Gary Lineker, and token Geordie thicko, Alan Shearer. With the BBC having set the tone, the morning papers followed suit. Shock horror at ordinary football fans enjoying a fleeting moment of spontaneity in the game. That wall to wall condemnation of the pitch invasion will forever serve as a marker for me in the game. When did football become so sterile and marginalised? 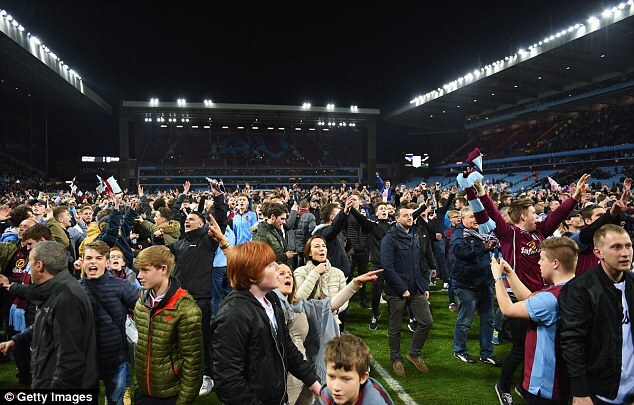 The pitch invasion at Villa Park was a beautiful one; an exertion of joy by football fans who’ve been suffering for a long time, and will now get something to shout about at one of the most famous football stadiums in the world. At a glance, you could see that those who ran on the pitch were ordinary football fans, not thugs. Even young kids got involved. A rare moment that they’ll be talking about for years to come. I’m not advocating a pitch invasion every week. Nor am I suggesting that security developments since tragedies like Hillsborough should be undone. There was no thuggery, just good clean fun, albeit thanks to some unusually lax stewardship and policing. It’s clear to me that there’s a correlation between the decline in the impulsive, chaotic element of football, and the increase in money in the game. Football seems to be becoming less and less about the punter going through the turnstiles; and more and more about how much cash can be force fed from broadcasters into an already morbidly obese handful of chosen leagues. Only last month, Sky announced a deal that equates to around £100m per English Premiership game. This represents an increase of over 70%. I wonder, will the fans see a 70% reduction in their season ticket prices? They probably deserve one, seeing as Sky will be making them attend games at odd times like 12 noon on a Sunday to accommodate another two or three games per channel, per day. For all the cash that’s been thrown at the English Premier League, where’s it got them to? Manchester United have gone from a near perfect football club, to a rudderless money pit, watched by football tourists, attracting B-list mercenaries to warm their bench. Chelsea’s ‘special one‘, has compared Stamford Bridge to a morgue. Arsenal’s Emirate’s Stadium is regularly referred to as ‘The Highbury Library’, and Manchester City even resorted to running a 2 for 1 offer on their Champions League tickets, thanks to woeful attendance figures. Football on TV could be a great thing, but it’s failing to serve the fans at present. Sky forces the hand of all other broadcasters, and has been the driving force behind this pooh-poohing of all things spontaneous. When they should be concerned with the product and the appeal behind it, their focus seems rigidly stuck on punting you another HD box, with a subscription longer than most EPL players‘ contracts. Leagues outside England, Spain, Germany and Italy all face the same problem. Scrambling for the scraps off the table of the TV money men. The game will die a slow, painful death unless this changes. Peter Lawwell’s suggestion to shun the paltry £2m TV deal in Scotland is a bold one, and a step in the right direction, if nothing else. His argument is that the likes of Celtic could make more than this, if they reverted back to football at 3pm on a Saturday. 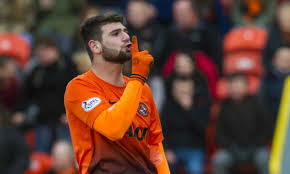 At last, someone fighting the corner of the fans! Do I think his suggestion will turn the game on its head? Probably not, but it’s as positive a step as could possibly be taken by someone representing a club in a ‘smaller’ league at present. Lord knows that the required changes won’t come from FIFA or governing bodies of that ilk. Perhaps a shift in technology could wrestle the control away from the big broadcasters in the future, but until that time, the status quo remains, and the big broadcasters hold all the cards. The broadcasters’ control is suffocating the game. The poisonous discrediting of the Villa Park pitch invasion is just the tip of the iceberg, and drastic change is required before the beautiful game turns irreversibly ugly.